The German company "Sowi Kosovo" is ready to invest 175 million euros in the Republic of Kosovo in the renewable energy sector. This is expected to be the first company registered as a strategic investor within the Ministry of Diaspora and Strategic Investments. The Minister of Diaspora and Strategic Investments Dardan Gashi met with the leaders of "Sowi Kosovo" and in the presence of German Deputy Ambassador in Kosovo Jan Axel Voss has assured that the Republic of Kosovo is committed to supporting investors from countries like Germany. "Germany is a friendly country, has constantly supported the processes through which the Republic is going and, of course, has the door open to invest in our country. 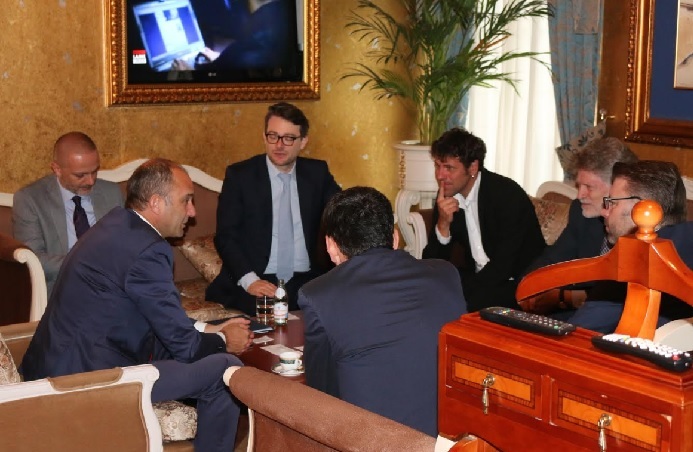 If everything goes well with the project, then this will be the largest investment realized in Kosovo since the war," said Deputy Prime Minister Gashi. Administrative and procedural barriers, in this case and the incomplete completion of the ERO board, could jeopardize such an investment, for which the Republic of Kosovo will be losing. On the other hand, the Deputy German Ambassador, Jan Axel Voss, has welcomed the establishment of a strategic investment unit, which would greatly facilitate the inflow of investors to the Republic of Kosovo. The German company "Sowi Kosovo" in the last three years has measured the wind in the Bajgora region.